Oh my goodness, now don’t you think these PJ’s are the cutest thing ever! I do, and so does my daughter. Every Christmas Eve she opens one gift, and it’s always pajamas. This year I wanted to get her something so adorable she would want to wear them all the time. Okay, also be warm and comfy. We are having somewhat of a cold winter, so footie pj’s is what she requested. Now if I’m going to get footie pj’s, I better get them through a company that knows what they are doing like Big Feet Pj’s. Big Feet Pj’s is excellent for individual gifts, the hard to shop for, or for the whole family. 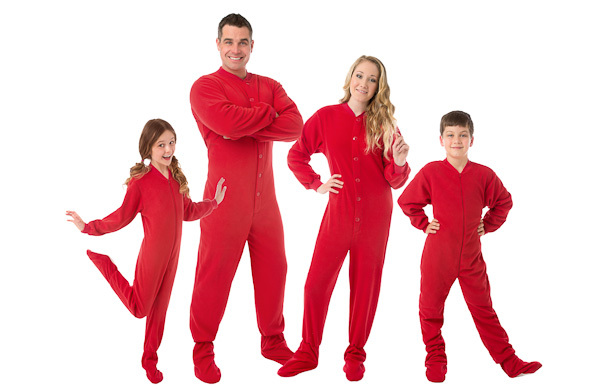 Wouldn’t it be so awesome to wake up Christmas morning and everyone wearing RED FOOTIE PJ’S. In my dream Christmas anyways, well, for now, my daughter will be the only one wearing them this year. Next year, you never know I might have a pair too. My daughter is 12 yrs old and fits into XL in kids and XS in adult so I choose the XS in adults because it comes with a back flap, and I know she can wear them for awhile. LOOK AT HER BIG FEET! She told me they are so warm and loves them a lot. She has worn them every day since I gave them to her. They washed nice, didn’t bleed all over my other clothes and shrunk a little but not too much. 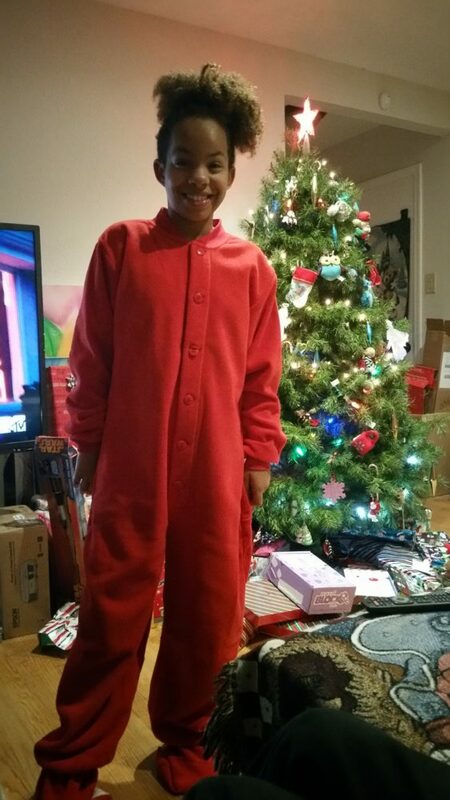 Big Feet Pjs micro-polar fleece footed pajamas are the #1 top seller at Big Feet! These are made of 100% micro-polar fleece and are so durable; they will last for years. Also, the fabric is higher quality than other fleece pajamas and will not pill when taken out of the dryer. Unisex sizes from 12M to Adult XL Available at www.BigFeetPJs.com for $17.98 Toddler $26.98 Youth $44.98 Adult. Visit Big Feet Pj’s to get more information and order your gift NOW! Or maybe buy one for yourself too!